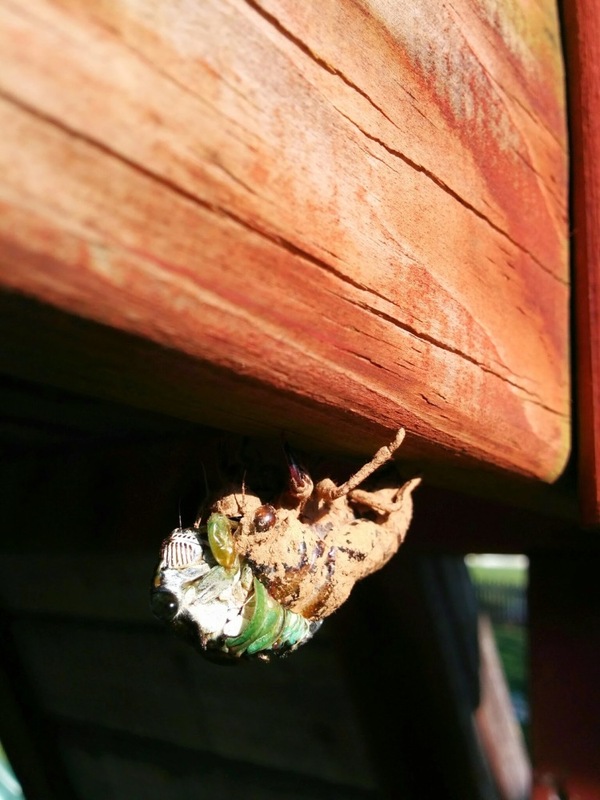 A couple of weeks ago, I found a freshly molted cicada on our front porch. A few days later, we encountered the one pictured above emerging from the shell. The bug was so still that we figured it might actually have baked in the sun and died. I meant to check back the next day to learn about its fate, but I forgot, and now I suppose it’ll remain a mystery for the ages.